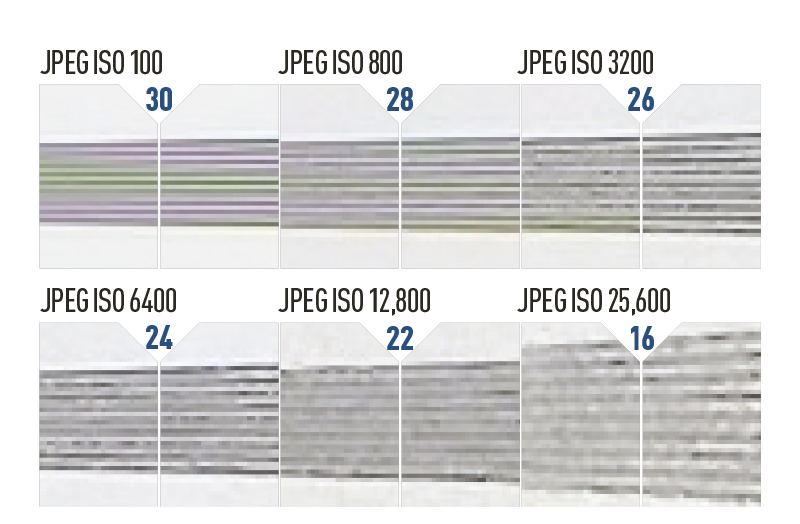 When set to it lowest ISO, the E-PL7 resolves around 3000l/ph. This is quite a high result for its 16-million-pixel sensor, suggesting a relatively weak optical low-pass filter. Detail levels drop as the sensitivity is increased due to the effects of noise and noise reduction, through around 2800l/ph at ISO 800 to 2600l/ph at ISO 3200. 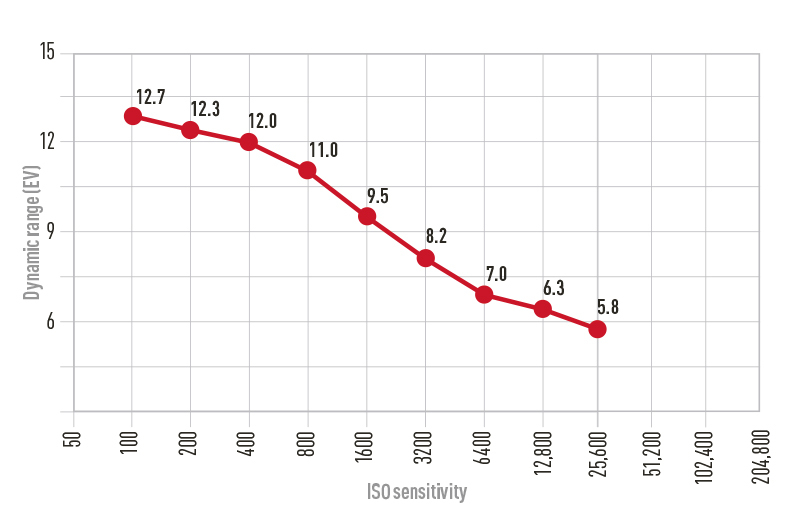 At higher sensitivities detail suffers dramatically, and at ISO 25600 we measure only around 1600 l/ph. Our grey-card crops show that the E-PL7 gives nice clean images at base ISO, with a little luminance noise only starting to creep in at around ISO 800. Images are still quite usable at ISO 3200, but higher sensitivities start to suffer excessively from noise. 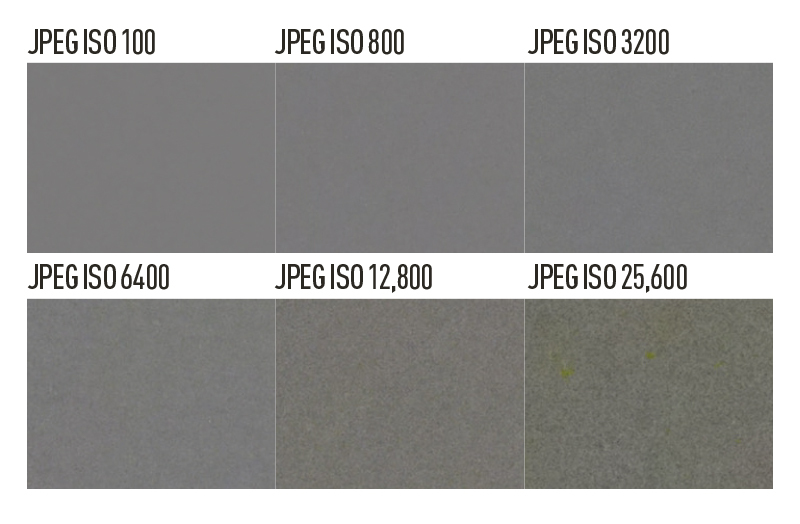 We’d say that ISO 6400 is OK at a pinch, but the top two settings are best left alone.